Geometric burst patterns featuring hand-dyed multi colored glass beads adorn the front of this envelope clutch. 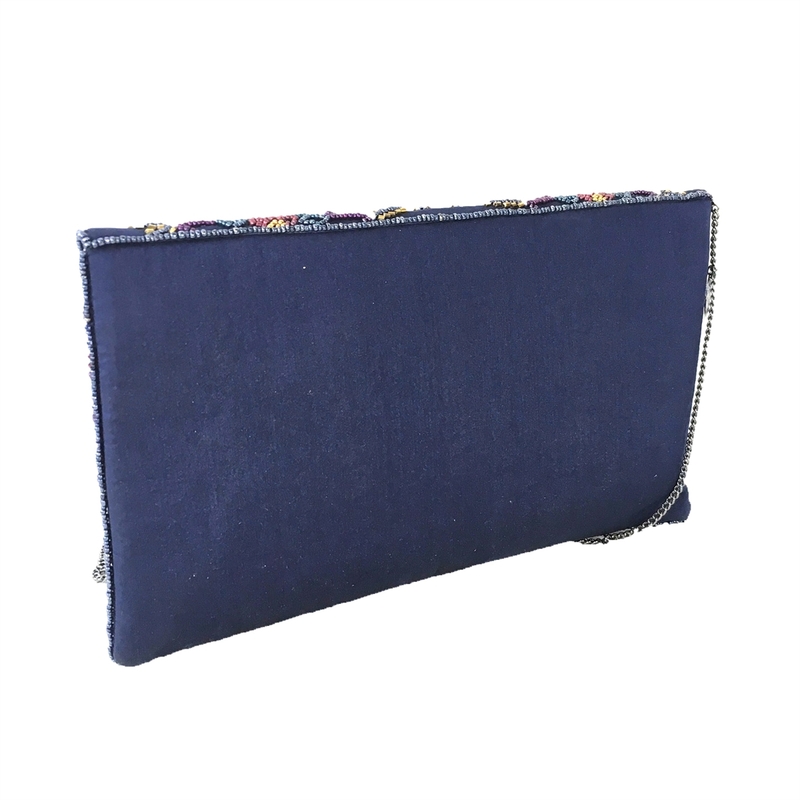 The Chan Clutch can be teamed with your favorite denims or party looks. 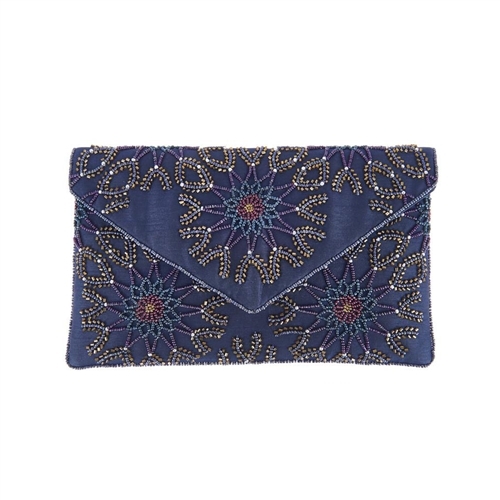 Convertible envelope clutch in fabric with glass beads. 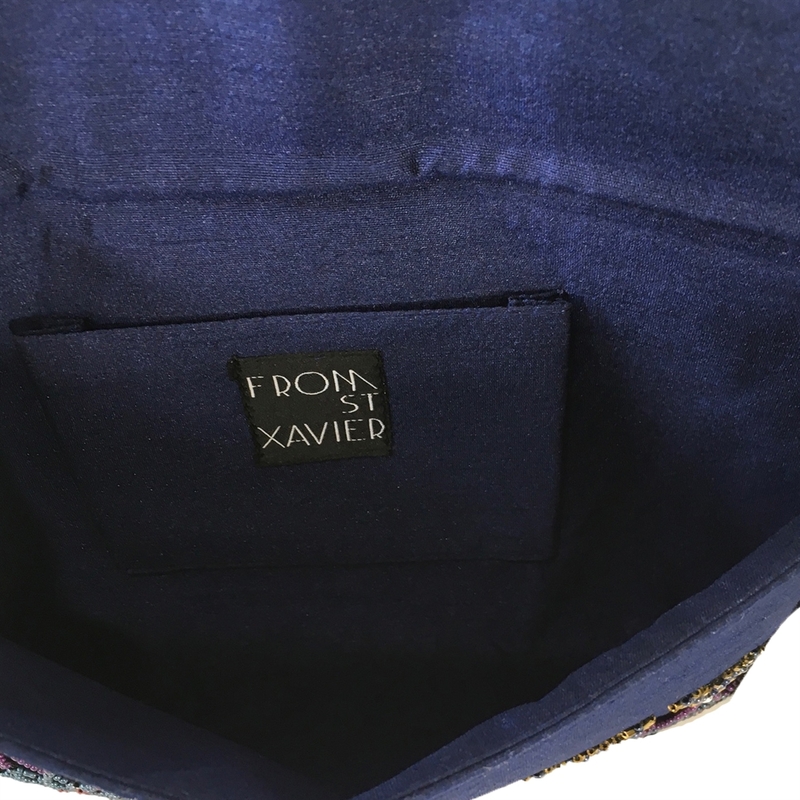 Front features geometric burst pattern.